Have you just purchased your first Cricut machine and feeling a bit confused about which of the Cricut blades to use for your next project? Maybe you would love more info on which additional blades to purchase or maybe on how to keep them sharp for longer. We have compiled a super handy guide for you all. 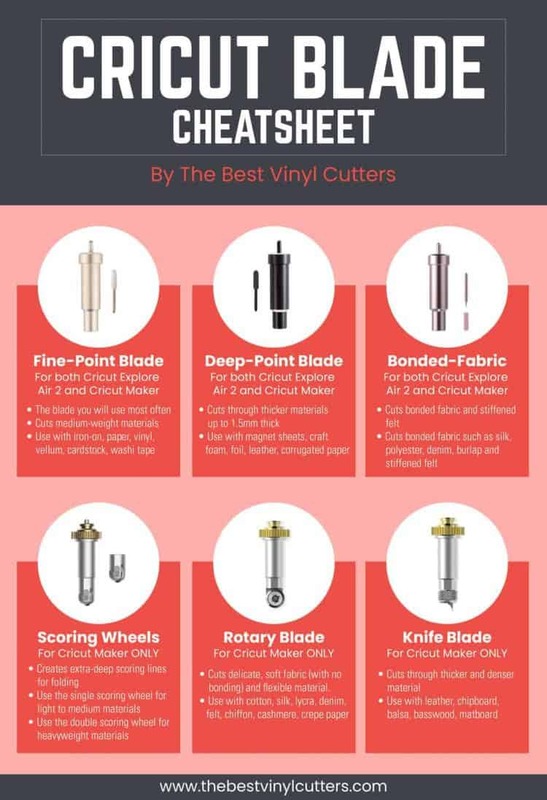 In it, we share all our knowledge on the different types of blades for Cricut Machines. 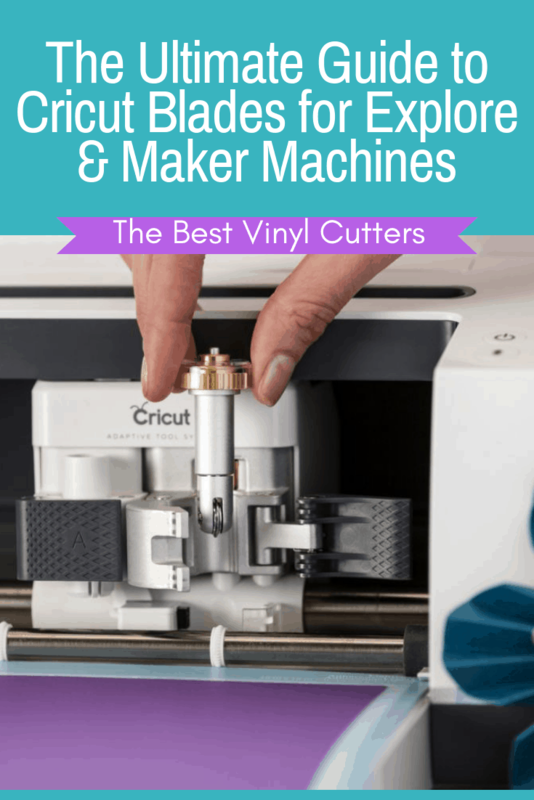 We share info on how to change and install these blades, as well as give some handy tips on how we keep our Cricut blades sharper for longer. There are currently 3 Cricut blades that fit in both the Cricut Explore series and 3 additional blades that fit ONLY in the Cricut Maker machine. Find below 3 blades for Cricut Explore Air Machines that will also work on the Cricut Maker Machines. The Premium Fine-Point Blade is also known as the Cricut standard blade (and as the Cricut German Carbide Premium blade). 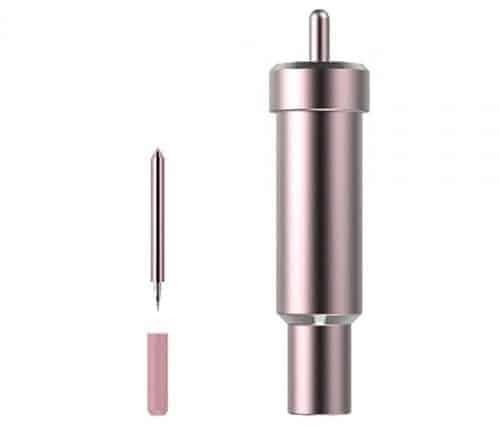 Both the Cricut Explore Air machines as well as the Cricut Maker machine will come with the fine point blade as well as the housing for it. Because you will most likely be using this blade most often, it will be wise to pre-purchase some replacement blades so that when it goes blunt, you have a new one on standby. 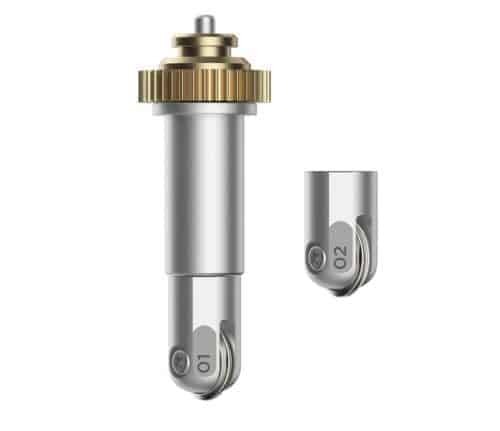 You can find replacement Premium Fine Point Blades here. Wanting to work with thicker materials? The Cricut Deep Point Blade is a special blade that has a steeper blade angle in order to slice through harder and thicker materials. The Deep Cut Blade is NOT included with the Cricut Machines. You will need to purchase this one additionally. You will also need to purchase the Deep Cut Blade housing. Grab the Cricut Deep Cut Blade with housing here or replacement Deep Cut Blades here. The Bonded Fabric Blade will fit in both the Explore and Maker machines, HOWEVER, there is a much better fabric blade available for the Circut Maker (see below), so I would only recommend the Bonded Fabric Blade for those who wish to cut fabric with the EXPLORE machine. Well for cutting bonded fabric of course. Bonded fabric is basically two pieces of fabric that have bonded or joined together. The Explore machine struggles to cut fabric without it being bonded, so if you wish to cut fabric on the Explore you will either have to use a fabric stiffener or you will need to bond your fabric. The Bonded Fabric Blade is NOT included with the Cricut Machines. You will need to purchase this one additionally. 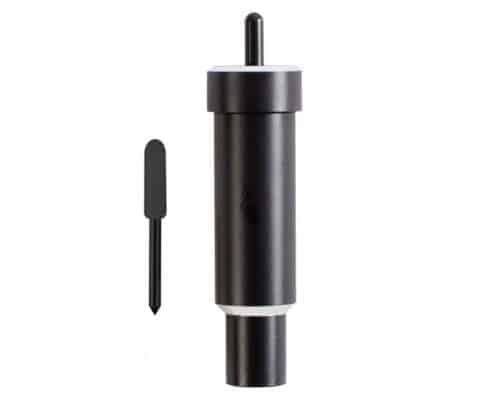 You will also need to purchase the Bonded Fabric Blade housing. Grab the Bonded Fabric Blade with housing here or replacement Bonded Fabric Blades here. The following Cricut Cutting Blades will only work in the Cricut Maker Machine. The Cricut Maker has the incredible ability to cut super soft fabric without the need to stiffen or back it. In order to do so, you will need to use the Cricut Rotary Blade. 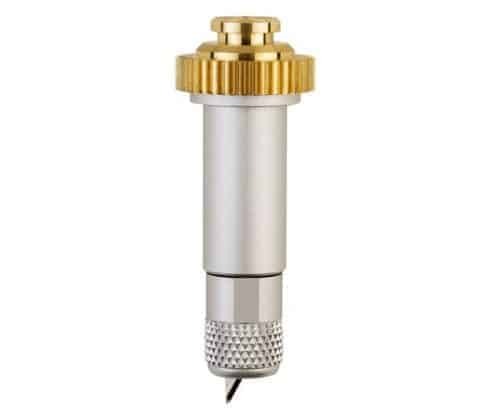 This blade has a tiny rotary wheel in it that can manage to create clean cuts and can manage intricate designs as well. 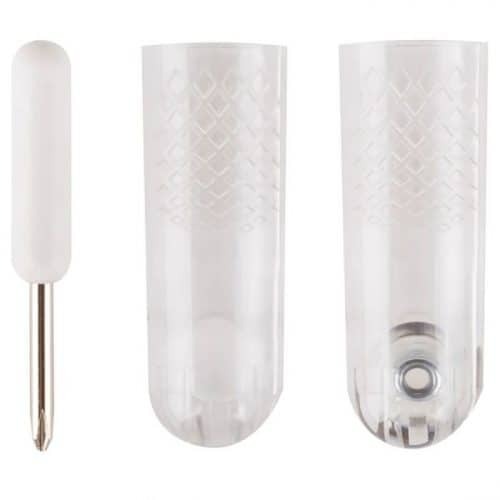 Your Cricut Maker will come with the Cricut Rotary Blade and the Housing for it, so you will only need to purchase replacement blades when needed. You can find replacement Rotary Blades here. 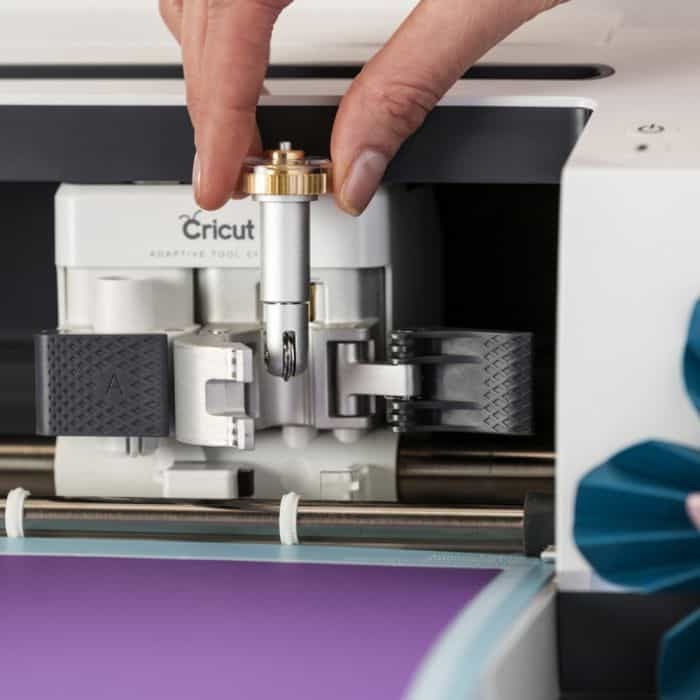 Whilst the Cricut Deep Cut Blade can manage thick materials, the Cricut Knife Blade can manage REALLY thick material. This blade is super sharp and can slice through all the tough stuff like wood. Click here to grab a list of tips that you should know before using the knife blade. The Cricut Maker doesn’t come with the knife blade. 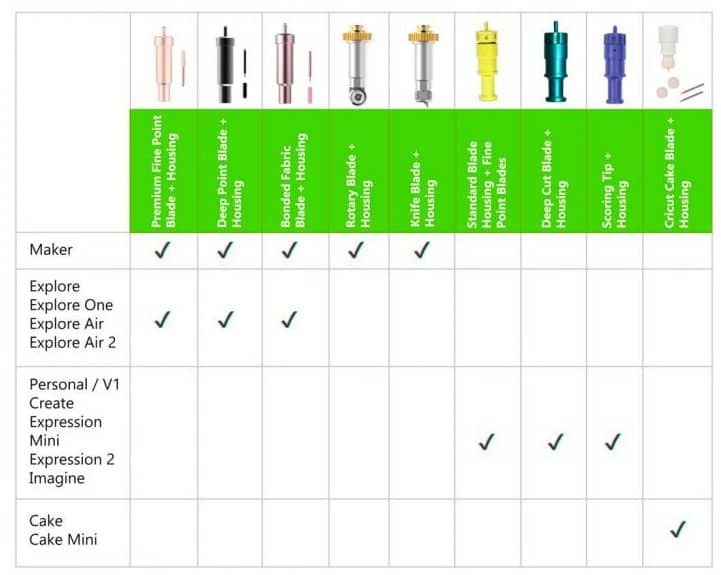 You will need to purchase both the blade as well as the housing online. Grab the Knife Blade with housing here or replacement Knife Blades here. This one isn’t really a blade, but I thought I would add it in here because it is a really handy tool to have. The scoring wheel doesn’t cut material, what it does do is create some score lines for when you need to fold cardstocks etc in order to make cards or boxes etc. The wheel comes with two tips: Single and Double. You will use the single scoring wheel for light materials such as cardstock and the double scoring wheel is perfect for thicker material such as cardboard. You can find the Cricut scoring wheel here. I love this handy table that Cricut has designed. It is handy to have printed out so you can easily refer to it when you need to purchase new blades. Really easy to see which blades are for the Cricut Maker and which are for the Explore Air 2 machine. When Do You Need Cricut Replacement Blades? It is fairly easy to notice when a blade needs sharpening or replacing. We all want nice clean cuts if your blade isn’t producing a clean cut, well then it is time to replace it. So look out for when it is ripping the material, rather than not cutting it or when the edges of the cuts are jagged. I love to have replacement blades on hand so that I don’t have to pop my project on hold until new ones arrive. Your blades will stay sharper if you use them for the things they were designed for. 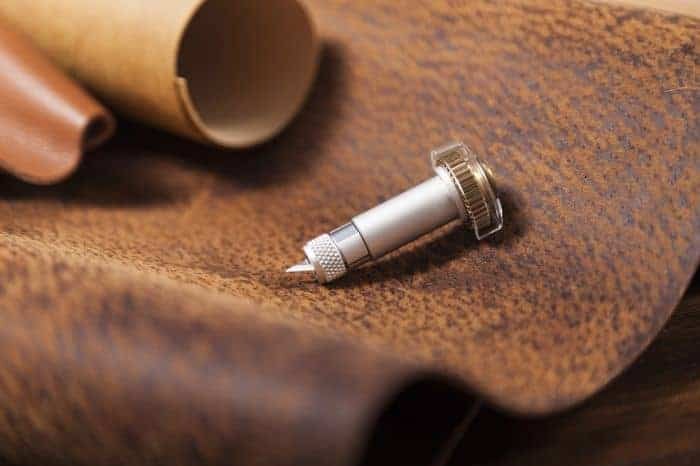 For example, if you use the premium blade on very thick cardstock, the blade will go blunt really quickly as it was never designed to cut thick cardstock in the first place. I have also heard that some people love to mark their blades for different materials. So you can have a premium fine tip blade for paper and a different one for vinyl. If you do wish to mark your blades, be sure to NOT mark them on the blade, but rather mark them on the cover for the blades. Another really handy tip is to simply sharpen them. We all know we can sharpen kitchen knives and scissors – well you can do the same thing with your blades. All you need is some foil. Cut design out of the foil to help sharpen your blades. Easy! Now eventually you will find that simply doing the above steps won’t be enough and at that point you will really need to invest in some brand new replacement blades. Okay, so you have bought replacement blades, but how do you actually replace them? 1. Open the blade clamp (marked with a B for “Blade) and remove the housing. 2. Next push the little button on the top of the housing and carefully pull out the blade. 3. Grab your brand new blade and remove the plastic protective cover. 4. Slide the new blade into the housing. 5. Pop the housing back in the machine and close the clamp to hold it securely in place. Now if you wish to remove the Knife Blade or the Rotary Blade from the Cricut Maker, there are a few small changes to these steps, so I will include some easy to watch videos on how to replace these below. 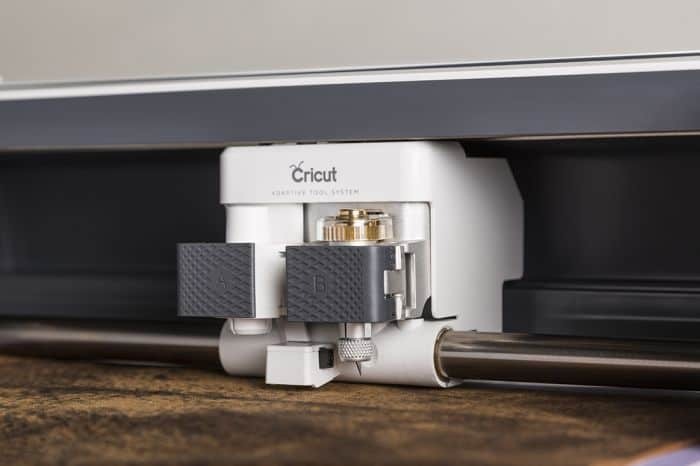 Cricut knows their products really well and they know what we need as consumers. So it is no surprise that they have created a little compartment where you can store your blades. On the front of your Cricut Machine, you will find some compartments. You can simply pop your additional blades or replacement Cricut blades in the compartment on the left. Simply pop the housings in the back. The front area has a magnet so storing your blades here keeps things nice and tidy. Visit our Cricut hub page to grab many more Cricut Tips and Tricks.